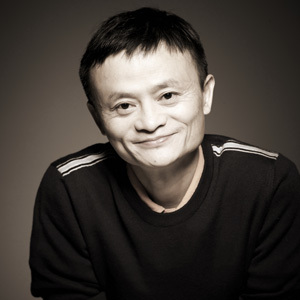 Chinese born Jack Ma is co-founder and Executive Chairman of Alibaba Group - China's largest e-commerce business. The former school teacher turned entrepreneur also made the Forbes "Asia's Heroes of Philanthropy" list for his contribution to disaster relief and poverty1. Jack Ma was born in Hangzhou, Zhejiang Province in China in 1964. Jack Ma is married to Zhang Ying and they have one daughter and one son. "Beer" was the first word that Jack Ma searched for on the internet. Ma graduated in 1988 with a bachelor's degree in English and went on to become a lecturer in English and International Trade at the Hangzhou Dianzi University. The Alibaba Group is a holding company with nine major subsidiaries including Taobao ("search for treasure") Marketplace which serves small businesses and individuals. Tmall.com provides electronic shop fronts for Nike Inc., Microsoft and other companies to sell to Chinese consumers and Juhuasuan which operates flash sales of everything from trousers to furniture. Alibaba, is named for the Arabian Nights character who uttered "Open sesame" to get into a treasure cave. Alibaba is a China-based business-to-business marketplace site which currently serves more than 79 million members from more than 240 countries and territories. The Alibaba IPO raised an unprecedented $25 billion, eclipsing the $22 billion for Agricultural Bank of China Ltd. in 2010. Of the future of Alibaba, he has said that "our challenge is to help more people to make healthy money, 'sustainable money,' money that is not only good for themselves but also good for the society. That's the transformation we are aiming to make." In 201? Ma was awarded an honorary doctoral degree by the Hong Kong University of Science and Technology. As of 2015, Jack Ma's net worth is approximately $32 billion according to the Bloomberg Billionaires Index. "Only fools use their mouth to speak. A smart man uses his brain, and a wise man uses his heart." Ma is a rags to riches story. Ma's family didn't have a lot of money and from a young age he demonstrated his determination to make more of himself and sought to improve his English by offering tourists to his hometown, Hangzhou tours in exchange for English lessons. This determination and perseverance was to extend throughout his life, through various rejections when looking for work to building up his business.